The message for the BodyPower Fitness Trade Show – dedicated to the business of fitness. This could not have been a truer statement of intent as exhibitors from across the UK met to showcase their services in the fitness industry. Solutions by Gymkit UK were live from the event for its duration. Our review follows. Those among you who are not familiar with the fitness industry beyond being a member of a gym would be forgiven for not knowing the wide variety of services and products that are on offer to professionals who choose to run their own fitness-based business. The BodyPower Fitness Trade Show looks to bring these individuals together. It offered networking opportunities with peers, businesses and professionals, education in the form of a showcase of guest speakers and expert panels and a procurement platform for those looking to move forward in their fitness ventures. The expansive timetable covered a diverse range of subjects including fitness business school, 50+ Fitness, BP Nutrition and workplace fitness to name but a few of the in-depth topics. Each area had its own unique timetable with speakers addressing a variety of topics in these areas. 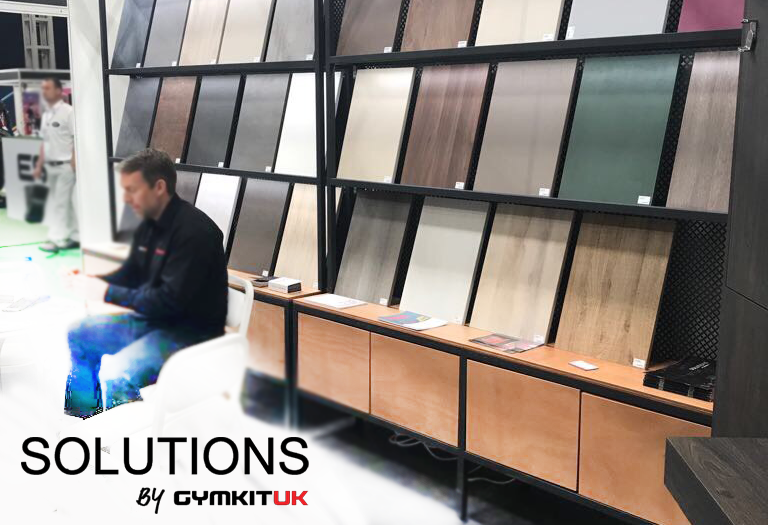 Solutions by Gymkit UK were based at stand D72 for the two-day event showcasing the wide range of innovative furnishing solutions by award-winning Italian furniture manufacturer Fit Interiors - distributed exclusively in the UK by Gymkit UK. 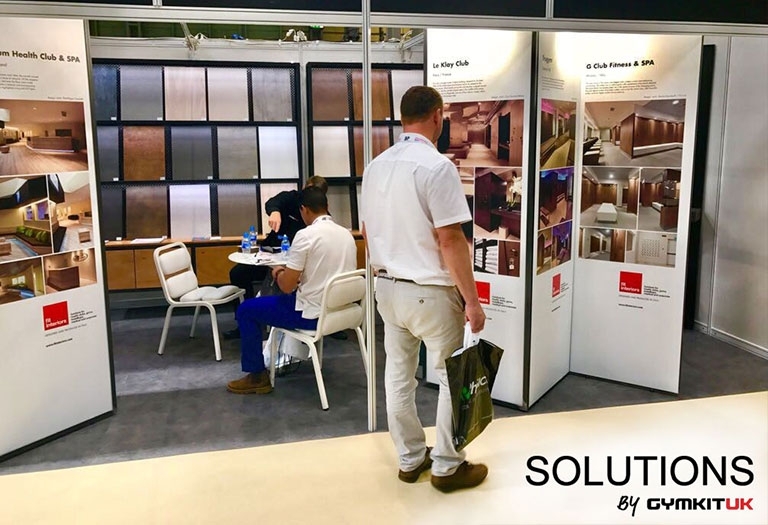 The stand gave delegates the chance to view a variety of interior solutions including reception counters, shower & toilet cubicles, gym lockers and a look at our stunning completed projects, all accompanied by the expert knowledge of our team. These projects vary from shower cubicle fit-outs to full locker room transformations and everything in between. All products on show were part of the Fit Interiors range, distributed exclusively in the UK by Gymkit UK. Solutions by Gymkit UK would like to thank BodyPower for a great 2017 trade show and also extends this thank you to all the delegates that took the time to come and visit our stand and talk with us. We look forward to helping you develop you fitness ventures with our solutions.